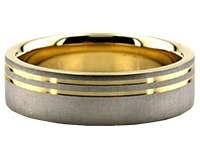 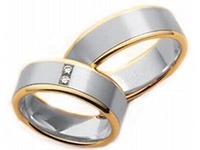 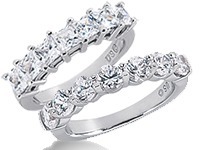 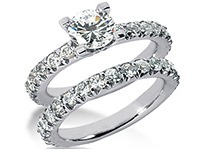 18K Gold 7mm Diamond Cut Wedding Band 602. 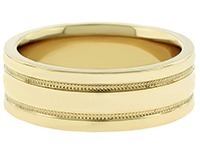 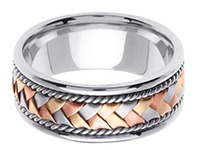 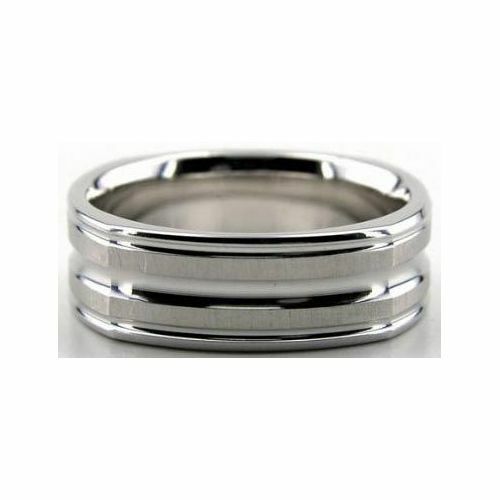 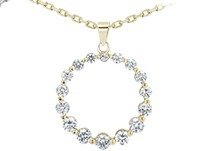 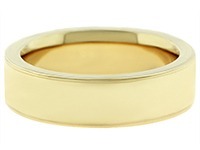 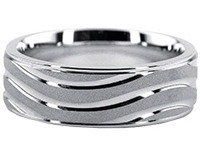 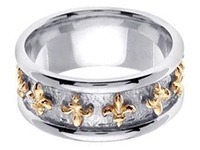 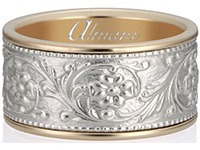 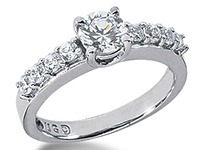 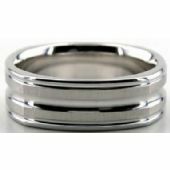 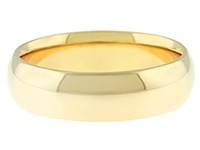 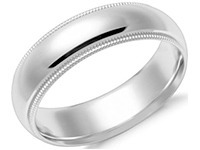 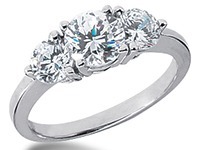 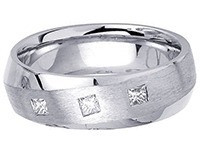 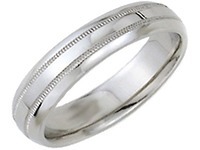 An elegant ring like this is 18K Gold Diamond cut and is a four sided 7.00mm wide wedding band. 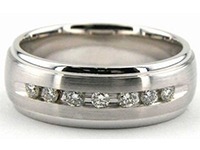 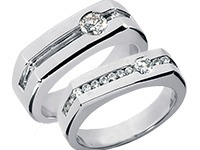 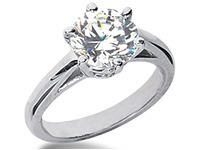 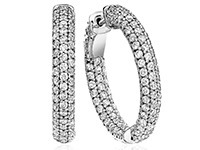 Wide bright cuts go parallel to the ring that has a high polish on both sides and has a shiny finish. 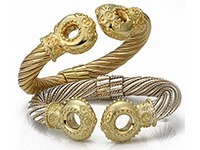 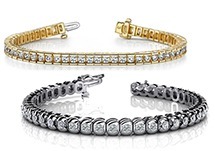 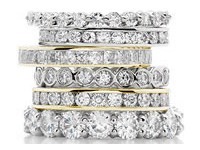 In the Diamond District of NYC, we manufacture our products, each and every one by hand. 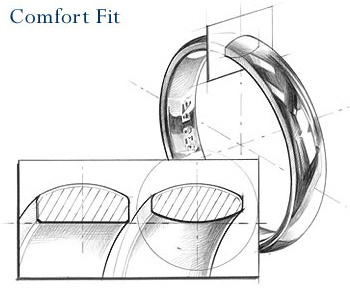 Specially crafted tools help our jewelers hand craft each wedding band.